Arts Education Program partners with Stockton Ports! The Arts Education Program has partnered with the Stockton Ports baseball team for monthly trivia! Trivia involving baseball and the arts will be posted on Facebook and Instagram each month. 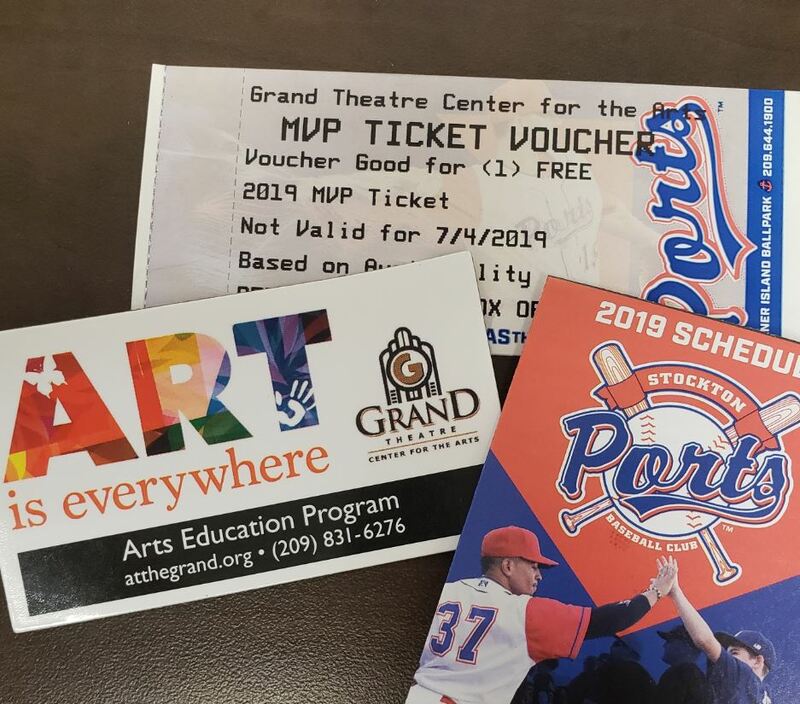 Find the posts and answer the trivia questions to enter to win two Stockton Ports baseball tickets good for any game (excluding July 4th) and an Arts Education Program exclusive such as tickets to Paint Nights, Private Art Lessons, or gift bags! One winner from each social media platform will be chosen each month so answer the questions on both Facebook and Instagram to increase your chance of winning!